An interesting controversy, if only for the far-reaching retail implications. 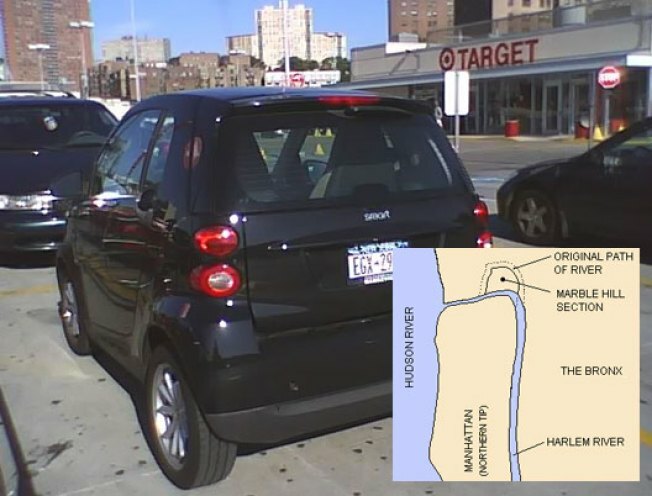 If Marble Hill is included in Manhattan, than East Harlem's East River Plaza megaamall is no longer supplying the borough's first bullseye, thereby drastically reducing its benefits to society. Drama!